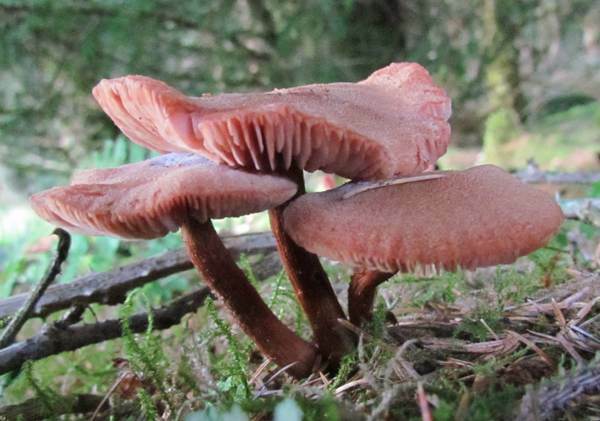 Treated as merely a variety of Deceiver until relatively recent times, Laccaria bicolor is distinguished from the more common Deceiver Laccaria laccata and Scurfy Deceiver Laccaria proxima by its stem, which has a lilac-coloured base but a tawny upper section. 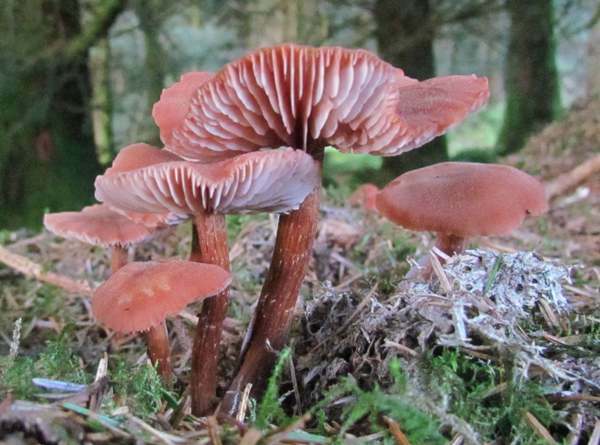 Rather uncommon and localised in Britain and Ireland, Laccaria bicolor occurs also throughout mainland Europe and in North America. This woodland fungus was described in 1937 by the French mycologist René Maire (1878 - 1949) as a variety of the Deceiver and given the scientific name Laccaria laccata var. bicolor. Nearly a quarter of a century elapsed before British mycologist Peter Darbishire Orton (1916 - 2005) raised the status of this mushroom to species level, renaming it Laccaria bicolor. 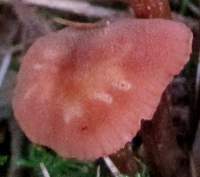 Synonyms of Laccaria bicolor include Laccaria laccata var. bicolor Maire, and Laccaria proxima var. bicolor (Maire) Kühner & Romagn. All Laccaria species are ectomycorrhizal fungi, forming symbiotic relationships with forest trees. Genetic research into Laccaria bicolor and other members of the little-understood family Hydnangiaceae is throwing new light on the complexities of these root-fungus relationships. The specific epithet bicolor is Latin and simply means 'being of two colours' - it's a two-tone toadstool. Bicolour Deceiver caps are 2 to 6cm in diameter, initially convex becoming flat-topped at maturity, often with a depressed centre and a down-turned rim. Hygrophanous: during wet weather young caps of Laccaria bicolor are deep tan or reddish-brown, but during dry spells the caps become much paler buff and eventually almost white. 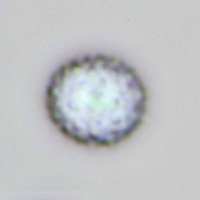 This colour change is a characteristic of fungi in this genus and the reason for their common name 'deceivers'. 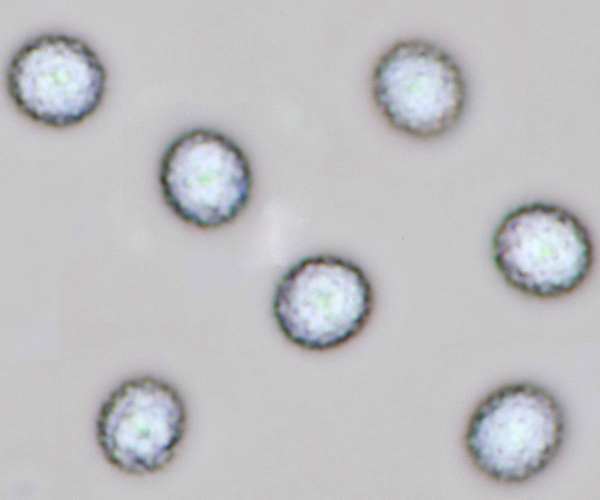 7 to 9.5 x 6 to 8.5μm, subglobose to broadly ellipsoidal, very spiny (spines up to 1.8μm tall), thick-walled, hyaline. Ectomycorrhizal with pines and other conifers, Bicolour Deceivers are found among leaf litter in all kinds of mixed woodland and on heaths; they favour neutral to acidic soils. Laccaria laccata appears in similar habitats but it does not have lilac down on the lower part of its stem. Laccaria amethystina is a violet coloured member of the same genus; once it has dried out it becomes pale buff and virtually indistinguishable from dried out specimens of Laccaria bicolor and Laccaria laccata. 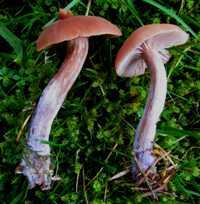 The Bicoloured Deceiver Laccaria bicolor is an edible mushroom. The caps are very good when fried, tasting rather like shop-bought button mushrooms (Agaricus bisporus). Bicolour Deceivers are also fine when used to make mushroom soup. The tough fibrous stems are best discarded.